Photos are taken on Canon 5Ds R and Samyang 14mm f/2.4. 6 shots for the sky and 6 shots for the ground. Mostly 3 exposures in each direction, so the total number of shots is 36 (about 2GB on a memory card). Raw files are developed in Lightroom without any major adjustment, usually just white balance only. The stitching process is done in PtGui which produces excellent results in blending the 3 exposures into a single HDR image. The final corrections are done in Photoshop - local contrast adjustments and white balance corrections. The true trick is in good timing. it is not unusual to spent over 5 hours on the summit waiting for the Northern lights, clouds to disappear or for a beautiful sunset. Returning home in complete darkness with a head torch in arctic winter is the price I pay for a nice photo. But the biggest problem is that nobody is that crazy to join me and I must say that I can focus better when working alone, so all these hikes were made as solo trips. And you can trust me, my brain is quite tough enemy. This project will never be finished. 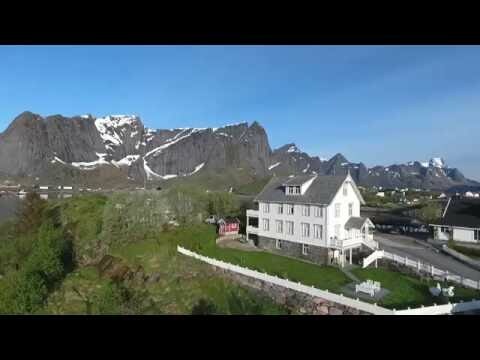 I think that you will understand when I say that I got the Lofoten bug. There is no cure, you can only reduce the symptoms by coming back.